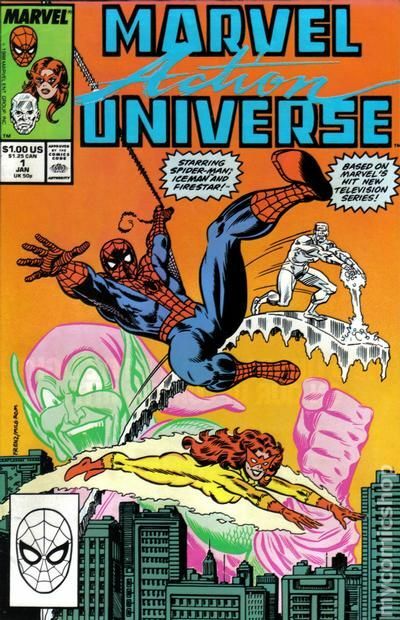 Cover pencils by Ron Frenz, inks by Al Milgrom. "The Triumph of the Green Goblin!," script by Dennis Marks (Original Screenplay) and Tom DeFalco, pencils by Dan Spiegle, inks by Vince Colletta; Green Goblin busts up a college costume party to steal his secret Goblin formula. Based on Spider-Man and His Amazing Friends cartoon. 36 pgs., full color. $1.00. Cover price $1.00.